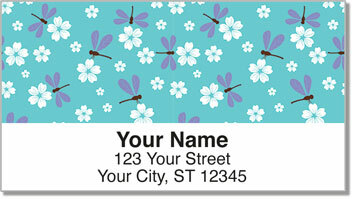 From a stand of proud purple and white cosmos to the grassy edges of meadow and marsh, the dragonflies flitting about on our Daring Dragonfly Address Labels certainly get around! You won't find personalized labels like these anywhere else on the web. 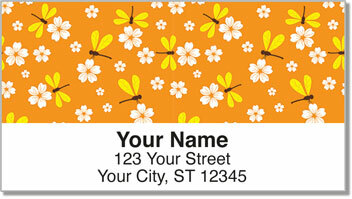 Exclusive to CheckAdvantage, our Daring Dragonfly Address Labels paint these fascinating insects in fanciful flight. It's a cheery and colorful design that's equally clever and cute. 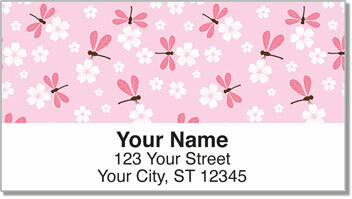 Also available as Daring Dragonfly Personal Checks, these adorable depictions are sure to bring a smile whenever you open your pocketbook or prepare an envelope for the mail. Order both personalized products today!